“You only need to brush the teeth you want to keep”. I LOVE my electric toothbrush and I’ve used one for about 10 years. My dentist highly recommends them and has tried to get all his patients to switch to electric. They aren’t for everyone, including my husband, who prefers his old-school manual toothbrush. Both the old-fashioned toothbrush and an electric toothbrush work well, but dentists give the electric brushes a slight edge over the manual brushes. The most important thing is to brush your teeth twice a day. Using an electric toothbrush can break some bad brushing habits, however. It makes brushing easy so many people are happy to brush for longer than they would with their manual brush. The electric brush can get into corners and other hard to reach spots that manual brushing might not get to. 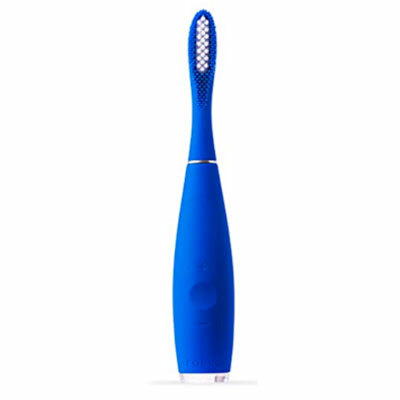 Here are the six electric toothbrushes that top many experts’ lists. 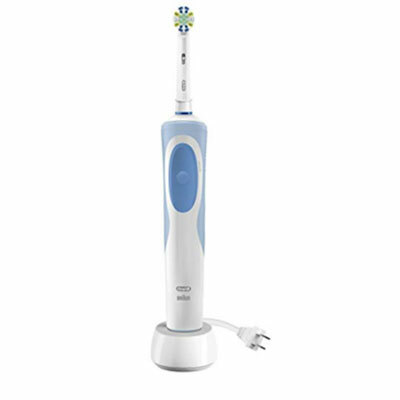 The Oral-B Vitality Floss Action Rechargeable Electric toothbrush is the most affordable of the top electric brushes and gets great reviews. It has Micro Pulse Bristles to clean deep between teeth. The head rotates side to side and can reach hard to reach areas. It has a two-minute timer so you brush the recommended length of time. $27.97. Instead of rotating bristles, this newly-released ISSA 2 Foreo Rechargeable toothbrush has a pulsating silicone brush that the company says is 35 times more hygienic than regular bristles. It has 16 adjustable speeds. The head should be replaced annually, and a charge lasts about 6 months. It is rated number 1 by Health.com. It is $169.00. 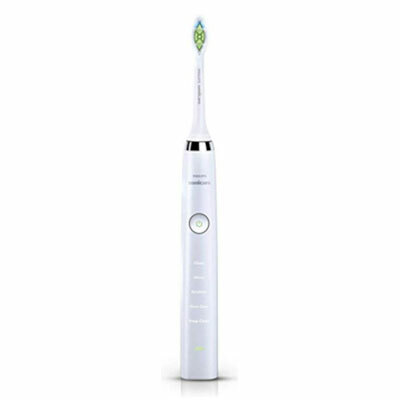 The Philips Sonicare DiamondClean toothbrush has a small diameter brush head with a 2-minute timer. The company claims it removes 7x more plaque than a manual toothbrush. 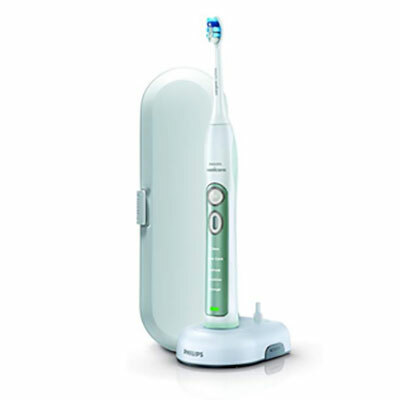 It has 5 brushing modes – Clean, White, Sensitive, Gum Care and Deep Clean and it has a travel case. $142.00. The Oral-B Pro 1000 Power Rechargeable Electric Toothbrush Powered by Braun has ‘circumferential action’ on the tooth surface. That means the brush head rotates, oscillates and pulsates to break up and remove plaque. A pressure sensor alerts the user that they’re brushing too hard and might damage gums. A sensor in the handle pulses every 30 seconds to signal that it’s time to move to a different area of the mouth. It has a built-in two-minute timer. It is also compatible with the largest range of replacement brush heads. This is Amazon’s best-selling toothbrush with 5,500 reviews and 4.4 stars out of 5. $49.97. The Philips Sonicare Flexcare Plus Sonic Electric Rechargeable toothbrush oscillates back and forth faster than a manual toothbrush is able to do. It has a high frequency that creates a ‘cavitational’ force that blasts plaque off the teeth without actually touching them. 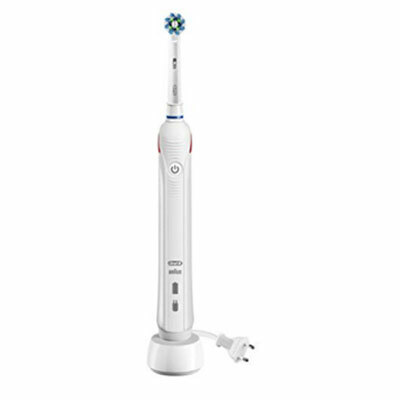 It has a two-minute timer and is quieter than many other electric toothbrushes. There are a variety of brush heads for various applications which makes this a versatile toothbrush. It has a built-in quadrant timer. $88.99. The Quip battery powered toothbrushes were invented by dentists who wanted to solve the brushing problems they continually saw in their patients: brushing too hard, not brushing long enough, not brushing twice a day, not replacing your brush. Quip brushes are designed to solve all these problems – plus they are sleek and ‘feel’ good. Quip brushes have soft, rounded bristles and move in short, tooth sized strokes. Quip plastic battery powered toothbrush is $30 for the toothbrush and a cover/mount – and $5 for fresh brush head and battery every three months for a year. The metal toothbrush is $45 and $5 for the batteries and refill heads for a year. I love them for travel because they have no charger. 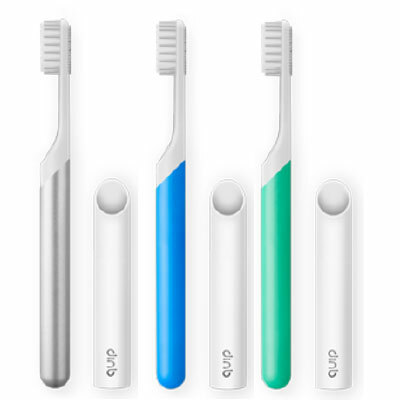 Quip’s creators produce a toothpaste ($5) and a manual toothbrush ($10) with the unique bristles they invented.